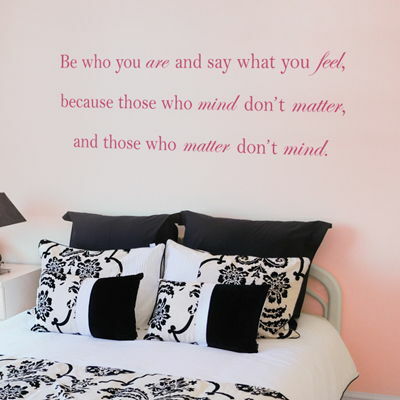 Be who are you are and say what you feel, because those who mind don't matter, and those who matter don't mind. Our wall decals are ideal for bedrooms, offices, living rooms, entryways, classrooms, even your car or glass shower doors! Outstanding customer service! 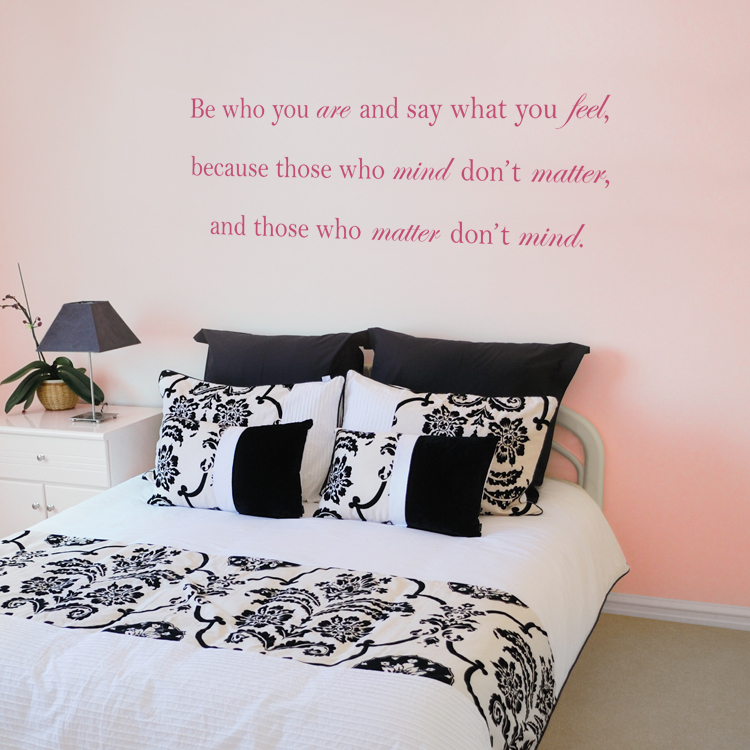 I ordered the In This Home quote, and the decal is even more amazing in person! I'm in love with Dali decals! Not only are the decals amazing, but the sales department is top of the line. I'd recommend them to anyone!